← Newest USC Baseball Recruit: Matt Barkley? 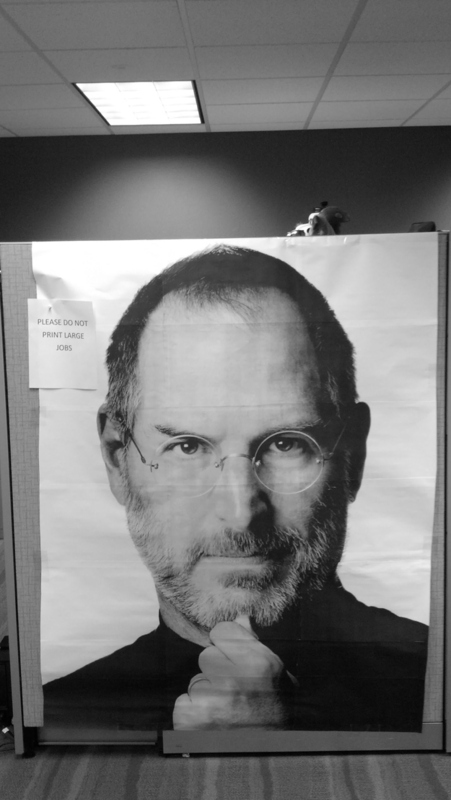 I’m sure the dude that printed this giant Steve Jobs… is the same one that put the “PLEASE DO NOT PRINT LARGE JOBS” sign up… but who cares, it’s still pretty funny. This entry was posted in Entertainment and tagged DO NOT PRINT LARGE JOBS, giant steve jobs poster, PLEASE DO NOT PRINT LARGE JOBS, steve jobs. Bookmark the permalink.